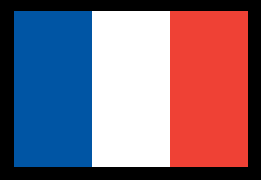 There have been many other flag challenges posted but not one for the national flag of France. This week seems like an appropriate time. The image must be in a ratio of 3:2, with size at least 78 pixels wide and 52 pixels tall. Each stripe takes up one third of the width. 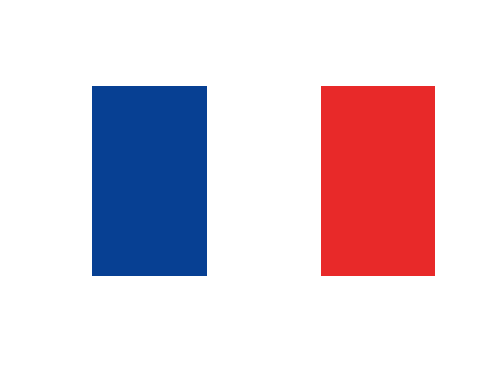 The stripe colors from left to right are RGB: (0, 85, 164), (255, 255, 255), (239, 65, 53). The image can be saved to a file or piped raw to STDOUT in any common image file format, or it can be displayed. 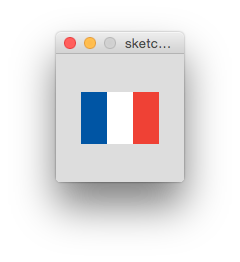 Built-in flag images/libraries are not allowed. 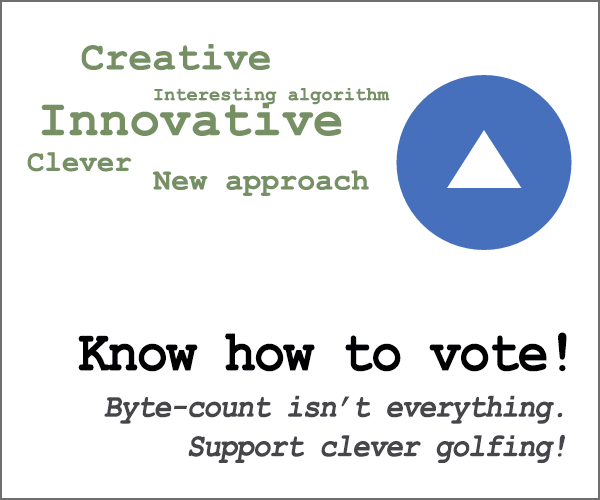 The shortest code in bytes wins. The Stack Snippet at the bottom of this post generates the leaderboard from the answers a) as a list of shortest solution per language and b) as an overall leaderboard. The above is a hexdump that can be reversed with xxd -r.
At the cost of two extra bytes – for a total of 24 bytes – we can use background colors instead, making the output a bit prettier. 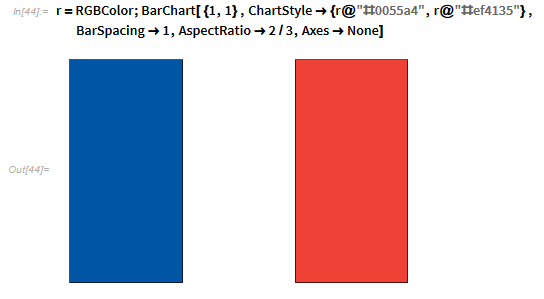 In both programs, we use the ANSI escape sequence \x9bXYm – where X is 3 for foreground color and 4 for background color, and Y specifies the color to use – to switch between the three colors of the flag. '<CSI>       Push the '\x9b' character (Control Sequence Introducer). points 34, 37, and 31.
i            Cast the character to integer. the remaining 26 will be printed. N]           Wrap the generated array and "\n" in an array. 26*          Repeat it 26 times. The other program is similar. The default OSX terminal supports full colour emojis. Not sure if this counts as text or graphical output. tr then translates the 210 characters to 🔵⚪️🔴. yes outputs this line indefinitely. sed 26q halts output at 26 lines. I'm not entirely sure if this is valid, please let me know if there are any issues. 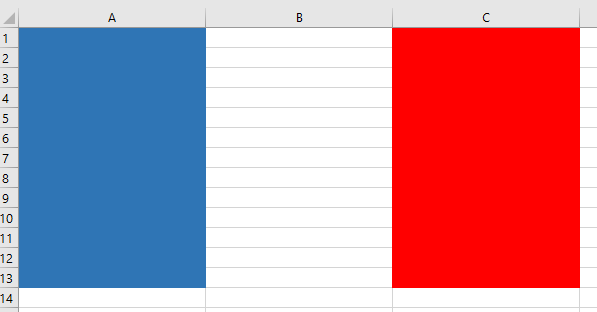 Uses ANSI escape codes to print colored characters to STDOUT - I chose "F" for France. No online link because ideone doesn't support ANSI escape codes in output. Thanks to Dennis and xnor for some great tips. 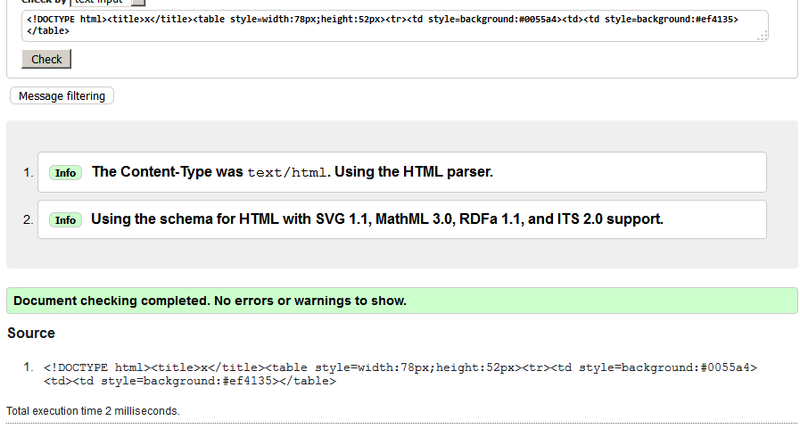 Using lots of HTML syntax abuse, this can get pretty short. Outputs the image with ANSI color codes. I chose a height of 30 like Mego. The reference implementation from 2009 linked on the esolangs page has gone missing. You can run it using this interpreter made by me, which supports everything from the esolangs page. This is basically the same thing, but just in plain old Brainfuck. convert -sample 78x52\! - a<<<"P3 3 1 255 0 85 164 255 255 255 239 65 53"
llama@llama:~$ convert -sample 78x52\! - a<<<"P3 3 1 255 0 85 164 255 255 255 239 65 53"
Can also output in PNG, if you change the filename to a.png (+4 chars). Thanks to @WChargin for saving 21 bytes. 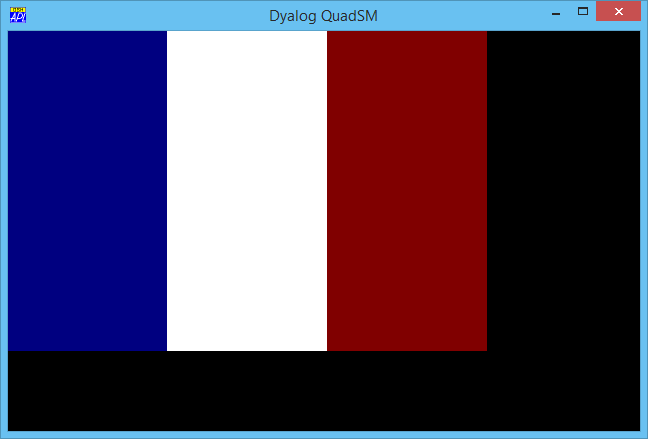 00000000   2E 77 2A 35  32 5B 73 6D  6D 64 47 63  33 43 4D 22  .w*52[smmdGc3CM"
This uses quirks mode to render the flag. The HTML is VERY invalid, but works on a stock Android 4.4.2 browser and on Firefox 42.0 (on Windows 7 x64). 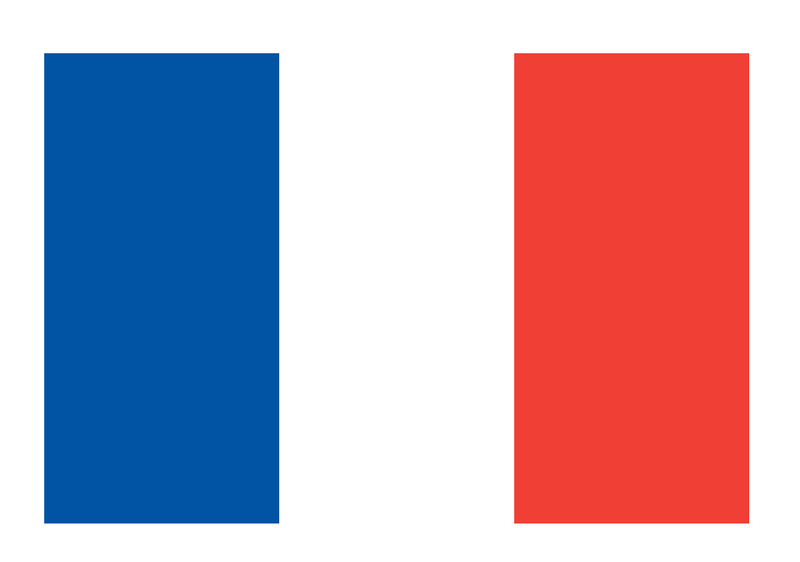 The flag is rendered with the right size and the standard red and blue colors. All webpages start with a standard white background. Would be 4 bytes shorter without the first 2 lines, but by default would have axes and would not look as nice. If the shading is invalid for the challenge, let me know! The current version of the command will abort with an error BUT will output a single image ".png", same as shown below. No need for another tag, works solely with the body-element. Saved 16 bytes by removing display:block; and some ;. Saved 1 byte, removed the trailing }. Saved 2 bytes by replacing 2*i*26 with i*52. Thanks to Cᴏɴᴏʀ O'Bʀɪᴇɴ. Saved 4 bytes by refactoring the for-loop. Thanks to ETHproductions. Saved 2 bytes by using the with-statement. Thanks to Dendrobium. Saved 2 bytes by turning increment into decrement. Thanks to Shaun H.
Saved 3 bytes by replacing fillStyle=["#0055a4","#ef4135"][i] with i?"#ef4135":"#0055a4". This produces exactly the same thing as the example given in the question (except for the anti-aliasing at the edges where colors meet). But wait! 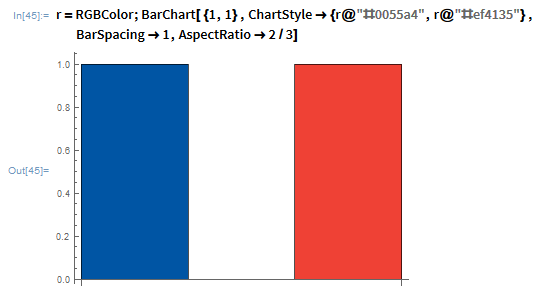 I can use bar graphs! Wow, a challenge that pb is actually kinda good for! Those are few and far between. When I was writing the spec for pb, I included coloured output mostly as a joke. The language was named after a "paintbrush", why would it not do colour? Other than example programs, this is the second time I've ever used it. It is implemented with ANSI codes as the question requires. I used 'M' as the character to output with because it's fairly dense. I resized that screenshot vertically to be two thirds of its height because letters aren't square. The output is 78 by 52, but the original screenshot looks really wrong. # setting it back to white every time. The terminal supports the ESC [48;2;<r>;<g>;<b>m "truecolor" escape sequence. 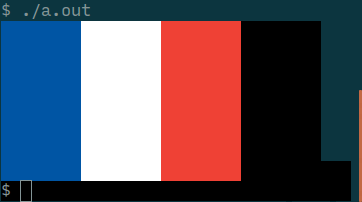 The terminal is not xterm, becase xterm's implementation of the above will produce slightly wrong colors. The terminal completely ignores NUL characters. It also looks nicer if your terminal's background is black. 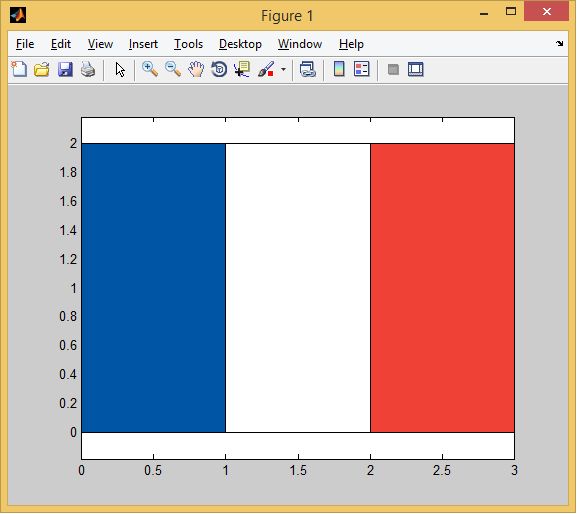 To change to height of the flag, pass command line arguments to the program. 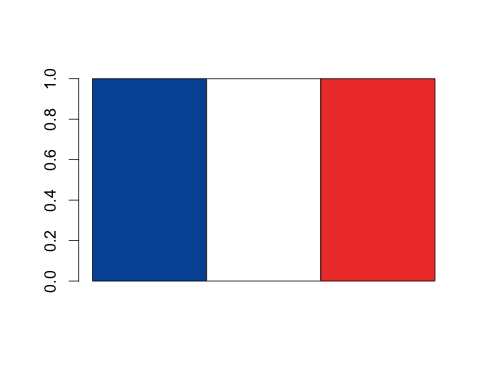 For every argument passed, the flag becomes one line shorter. It's not a bug, it's a feature! Just curious to see how this can be golfed. This is an example of a "raw tuple" iKe program- it's just a description of an origin (0 0), a palette (3 7#"#0055A4#FFFFFF#EF4135") and a bitmap (+52#'&3#26). You need to wrap a description like this in a function or use references to views if you want to animate it. The palette is a very simple way of creating a series of CSS colors, hex equivalents of the spec. Try it in your browser. If anyone else is interested in playing with iKe, there's a manual on the github repo. here's another problem I solved using iKe. I assume default settings, as they are without an .ini (you may disable your local .ini with the -n option). 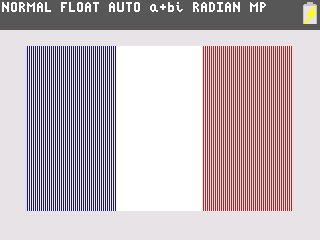 Produces a .bmp image (288 x 192), which should be piped to a file. This is as large as I can make it without affecting the byte count. Not particularly exciting. I'm sure there are ways to golf it more; I'll take a crack when I get home. Not the answer you're looking for? Browse other questions tagged code-golf kolmogorov-complexity graphical-output geometry or ask your own question. Halloween Golf: The 2spooky4me Challenge! Draw an ASCII chess board!